Guests at the long-running midnight showcase included Jack Whitehall, Beth Stelling, Hari Kondabolu, Rory Scovel, Sophie Buddle and Judah Friedlander. 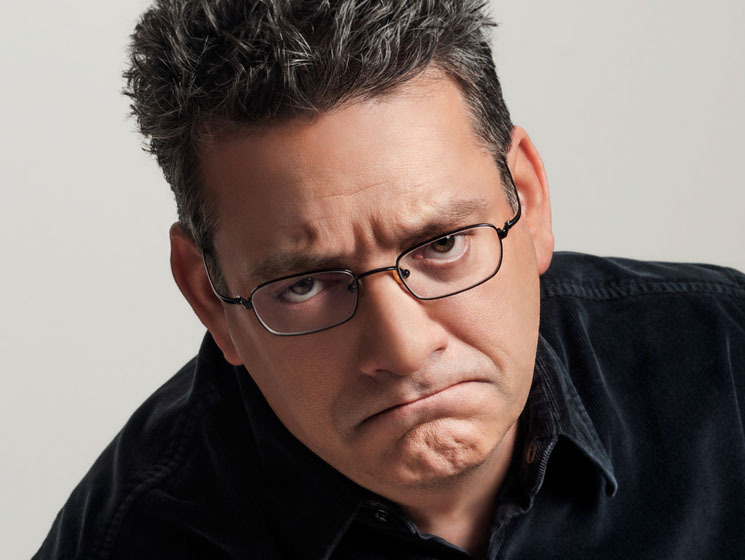 Andy Kindler has been hosting "The Alternative Show" since the mid-'90s, when he launched it at Montreal's Just For Laughs festival, where it remains a midnight mainstay. At Toronto's JFL42 festival, the Alternative Show is indisputably the place to be when the clock strikes twelve. Beloved by fellow comics, and an oddity to many not in the know, Kindler has become a gatekeeper for many aspiring comics. For this reason, the showcase has always been one of the best places to see rising stars as well as established funny people on the same stage. Kindler's hosting was delightfully manic last night at the Second City theatre. Ever a deeply and intentionally self-conscious comedian, Kindler's furious pacing of the stage got more and more contrived by the punch line, rivalled only by his supposedly patented and marionette-like leaning on the microphone stand. Winging most of his opening set as usual, Kindler spent a great deal of his set coming up with ridiculous "Am I right, ladies?" variations such as "HDMI right, ladies?," "TMI right, ladies?" and comedian Todd Barry's suggestion from the gallery, "EMI right, ladies?" with a somewhat passable Johnny Rotten twang. Kindler was unstoppable, funnier as he ventured out onto thinner and thinner ice, more and more ludicrous with every awkward pause. In a way, Kindler is at his best when he isn't at his best. He's on his A-game when he realizes the ship is sinking. That's the soup he swims in. Guests on Wednesday's Alternative Show stage included Jack Whitehall, Beth Stelling, Hari Kondabolu, Rory Scovel, Sophie Buddle and closer Judah Friedlander. There was not a slouch among them, making it a real challenge to stand out as a single performer, but the highlight guests would have had to be Kondabolu and Scovel. Rory Scovel was the second act, entering stage left after Jack Whitehall in a jacket which — to his explicit acknowledgement — suggested "I'm already on my way back to the hotel." His set was more reserved than what we've seen from his Netflix special Rory Scovel Tries Stand-Up for the First Time. Laughing over his shoulder at his own jokes in a corny Vegas schlock sort of way, his quiet brand of headstrong humour won over the crowd instantly. His short set ranged from the American election to Yelp reviews in small towns, and the difficulties in being a small-town Batman. There wasn't a word uttered that did not receive a boatload of laughs, at times to his chagrin. Kondabolu, maker of upcoming documentary, The Problem with Apu, delivered a terrific eight-to-ten minute set on the difficulties of being complicit in the gentrification of his neighbourhood, while also being a visible minority himself. His natural bent toward intelligent comedy with a message being at odds with the rather lewd advice of comedian Tracy Morgan was also a hit, maybe the evenings most memorable. Closing act Judah Friedlander was terrific although his delivery style — however much it suits his own deadpan comedy — was perhaps a little low energy for the final act of the night, especially when juxtaposed with Kindler's non-stop fusillade of neurotic narration of his own sets and introductions. In typical Friedlander fashion, he promised to deport an audience member when they asked about his presidential immigration platform, chided an audience member for being off his third row gallery game, claiming to be a fan of his early audience work, and said his head was being gentrified by white hair, admitting that he eventually wouldn't be able to afford it. The Alternative Show set the bar particularly high on Wednesday. As one of the most chattered about shows of the fest, here's hoping can continue to meet it for the rest of their five-night stint at Second City.